The Brain Gain Move programme aims to develop a love of movement in children from an early age, in a playful manner in order for the children to really enjoy it! Get your kids school ready with Brain Gain! Fitness and Skills are the 2 Primary aspects addressed, both of which are crucial for school readiness! Children who have not mastered these skills are usually also those who struggle academically. This can lead to poor self-image which, in turn, affects the child in numerous areas of their life. For children, aged 4 to 5 years, lessons are carried out in groups of no more than 10 children. Parents are provided with reports detailing specific areas that require targeting for their children, and the progress made on these throughout the programme. Restore the lost skills of focus and concentration ! For adults and kids over 5 years, Brain Gain Neurofeedback Training teaches techniques that stimulate the brain which in turn, stimulates oxygen and glucose-rich blood flow to the brain. This brings amazing benefits besides the increased levels of Focus and Concentration including improved Emotional Control, improved Sleeping Patterns, improved Memory and healthier Brain Aging, to mention only a few. Boot Camp is on everyday but Saturday at Sunmarke school with Juandre Kruger! Juandre is Reps level 3 certified, fully insured and can also organize home 1 to 1 training for small groups of 4-5 people. At just 60aed per session, no excuses – it’s time to get fit! The first class is always free! Quote the JVT Community Website to benefit from a trial class. Contact: juandrekrugerpft@gmail.com or 056 665 2506 to sign up now. Some 900 kilometres of cycle paths all across Dubai. The nearest to us is the Al Qudra cycle path now available to access behind Arabian Ranches 2. Read all about it in the Gulf News article from 30 June 2013. Recent article from the National on 8 Aug 2015 tells more. From the World’s Biggest Bollywood Dance Academy now in JVT at SUNMARKE School, 2018 brings new format and new styles! Join Shiamak Super 7 and learn 7 styles in 8 classes – BOLLY JIVE – BHANGRA SWAG – SALSA FUSION – GULLY HIP HOP – THEATRE CONTEMPORARY – MJ ZINGHAT – SWAG JAZZ at Sunmarke school. Sign up on this Facebook group to join in. Judo – the gentle way – is a Japanese martial art which involves two individuals that uses forces of balance, power and movement to attempt to subdue each other. Judo was the first martial art introduced in the Olympics. Classes are conducted in English and follow the Japanese syllabus. Budo Juku holds regular seminars with world champions and competitions throughout the year for all students. Internationally recognized gradings are conducted by officials twice a year. Karate – meaning empty hand in Japanese – is a traditional martial art. Classes are conducted in English following the Japanese syllabus. Each student is affiliated to the Official Wado Ryu Academy with internationally recognized gradings. Examinations are twice yearly by an official representative. Competitions at national level for KATA and KUMITE are held throughout the year. Selected Squad students can compete in Fight Night once a year and can get the opportunity to represent the UAE in Japan every two years. The Football Academy (TFA) is running a Saturday soccer class for 3 – 6 year olds at Arcadia Preparatory School. Class every Saturday from 9:30 – 10:30am. Sign up for First Step Soccer by contacting TFA on 050 455 2239. High Performance Swimming Club is offering a range of children’s classes and adult swim at Sunmarke school. There are beginner, intermediate, stroke improvement, pre-squad and squad training for children and adult recreational swim, stroke correction and swim fit class. Click to view the schedule of classes for Monday, Wednesday, Thursday and Saturday options as well as fees and term dates. On-line Registration is quick and simple to do! For new joiners, they always provide a free assessment. Check out their website to learn more about their programs and their coaches. Since 2007, starting out with 16 squads swimmers in its first week, the academy now helps over 6,000 people every week to improve their aquatics skills. 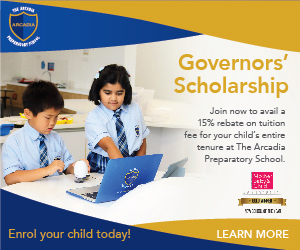 Click here to join the Academy. Classes are offered for level 1 to Bronze at Arcadia Preparatory school on Tuesdays from 14:00- 18:15 and Wednesdays from 14:15-17:45. A free assessment will be offered to identify the best suited level for the swimmer. Contact Hamilton Aquatics for more details on aps@hamiltonaquatics.ae or call: 04-450-8832. Considered the ‘home of martial arts’, Budo Juku is offering classes at Sunmarke school again this year. They hold regular seminars with world champions and competitions throughout the year for all students. Internationally recognized gradings are conducted by officials twice a year. Looking for a tennis buddy: Click here ! Active Sports have the mandate from Nakheel to manage the tennis court booking system. You must register via their Online Court Booking system. -Residents may only book Sports Courts within the community in which they reside. Please allow a few days for the system to clarify that the applicant is a community resident. You will then be notified that your account is active and ready to take bookings. JVT Winter Walkers – Get together every Wednesday evening meeting out front of Sunmarke school at 7.30pm. Come along for a chat and make new friends !!! Since Jan 2017, the lovely Sarah and friends are teaching pilates and yoga classes in her backyard studio. Whatsapp or call 056 774 6422 for the schedule. Two yoga teachers living in JVT also offer group and private classes. They are trained and experience, and have first aid and reps certification to work in Dubai. For ladies, couples, kids and mum-to-be! Do you have a group or club that meets regularly? Want to invite others to start a group activity with you? Post information here so others can contact you easily. hello , I am thinking to move in JVT . Any advice will be highly appreciated. also, what is the difference between districts ?